This Date in Native History: On December 21, 1866, the U.S. Army suffered its third largest defeat during the Indian Wars. 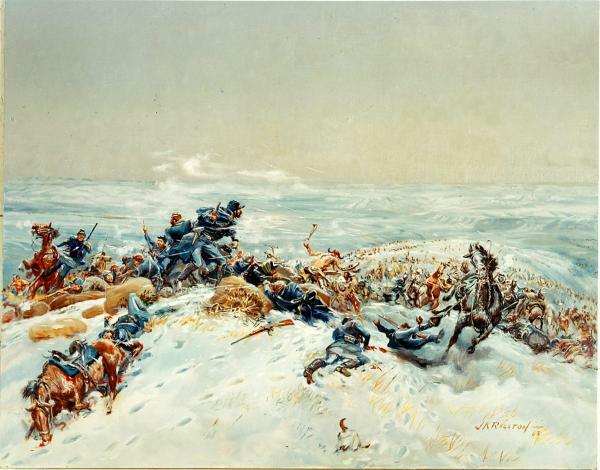 Only the battle with George Armstrong Custer at Little Bighorn and the 1791 battle between Chief Little Turtle, Miami Tribe, and General St. Clair—where 600 Army men died—were larger. All 81 cavalrymen and infantrymen died in an intense fight that lasted just 40 minutes.